Police are hunting a man with a huge "F*** Trump" sign on his pick-up truck – after there was reportedly a barrage of phone calls to officers over the “offensive display”. Sheriff Troy E. Nehls posted a photo of the white Sierra light-duty vehicle showing the sticker on its back window while it was on a motorway in Fort Bend County in Texas. 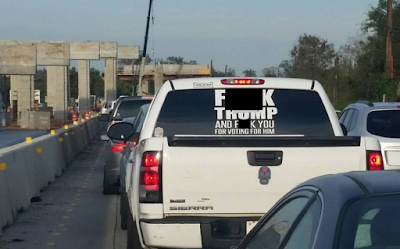 “I have received numerous calls regarding the offensive display on this truck as it is often seen along FM 359. If you know who owns this truck or it is yours, I would like to discuss it with you. 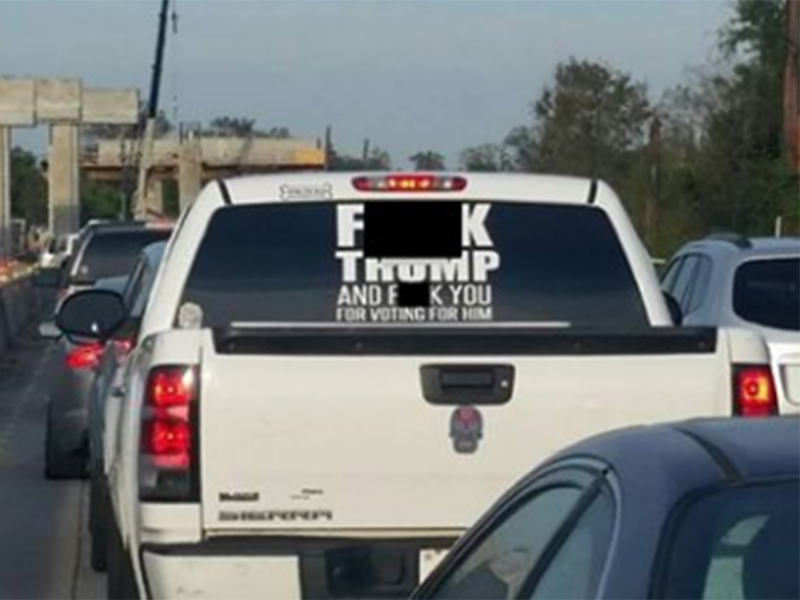 According to the Daily Independent, his post of the truck, photographed on the FM 395 outside Crystal City, drew in 11,000 likes, was shared more than 10,000 times and pulled in more than 20,000 comments. But rather than help Sheriff Nehls track down the driver, the bulk of the remarks centred on how the owner of the truck enjoyed the right to free speech under the First Amendment. 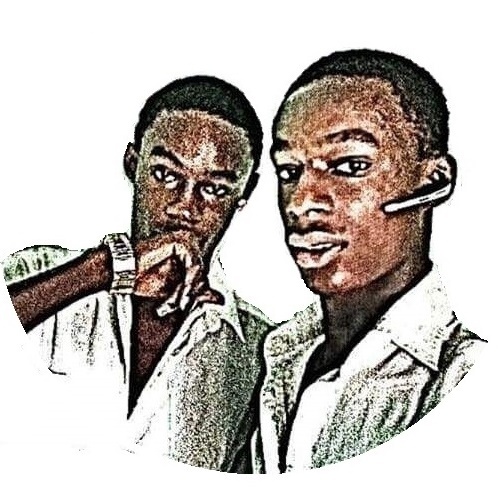 The post has now been deleted.